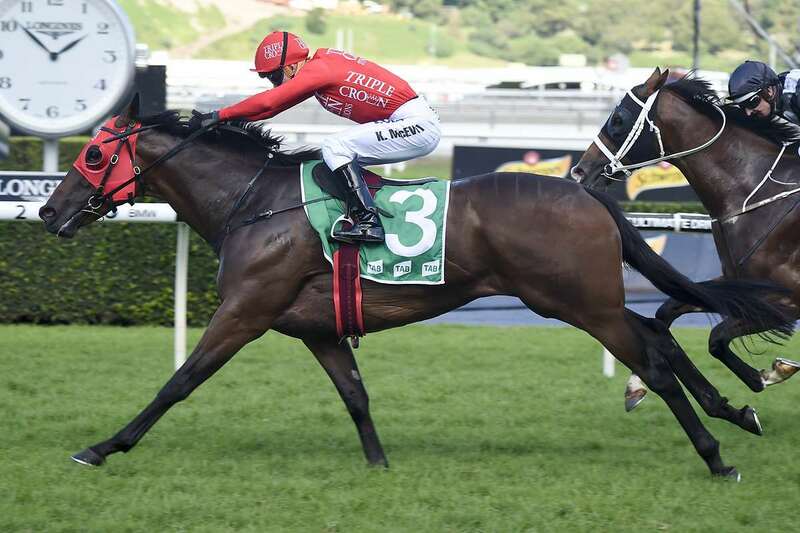 PETER SNOWDEN says he has Redzel ‘the best he’s ever been’ heading into what could be a career defining race in the inaugural $10 Million The TAB Everest at Royal Randwick on Saturday. Redzel had a final racecourse gallop on Tuesday ahead of the big race and has pleased Snowden since. “The horse is great and I’ve been really happy with him. His work was great on Tuesday. He’s been out to the beach and done some work there which he loves doing. The weather’s been great for him. At the barrier draw on Sydney Harbour Redzel drew gate 4 and Snowden says that gives the horse and jockey Kerrin McEvoy useful options in running. “He’s drawn a good barrier which helps. Kerrin was here this morning for a chat and we had a good chat about the race and covered all the various scenarios. “It all boils down to being in the right place at the right time and having him there to pounce. We all know he’ll be forward. Just how far forward will depend on how far they go. “He’s in greater order the horse and it’s the best I’ve ever had him. We looked through his form and his previous runs and where he’s come from and there’s nothing reads stronger than him on paper. But that doesn’t count for nothing unless he can do something on Saturday.